Routine Skype conversations with the parents of the child growing in her womb does not make the surrogate’s condition less alienating. This often exploitative and stigmatised labour of the marginalised woman is the keystone of the rapidly expanding fertility industry. 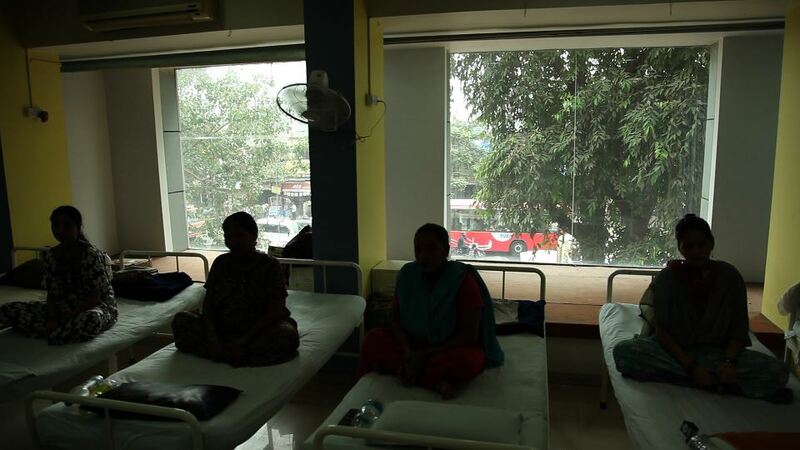 The global reach of medical tourism and commercial surrogacy spawns a range of clinics and practices across big cities and small towns in India.Anonymous, often with limited choice, woman’s labour is yet again pushed into the background. A whiff of immorality, the absence of regulation and the erasure of the surrogate’s experience collude to produce a climate of callousness. May we see the baby bump please? meets with surrogates, doctors, law firms,agents, and family in an attempt to understand the context of surrogacy in India. I hoped that the core of my film would be the women who opted to be surrogate mothers in the booming fertility industry which catered to both international and national clients. I found easy access to the women only within the four walls of the fertility clinics. Clinics requested that the women remain anonymous. We shot the women as shadows in the clinic. And found that the bulk of the material was articulate, informative interviews with the doctors and clinic personnel. We kept these interviews aside and worked on creating a presence of the women through the NG part of shots, the part meant to be discarded. We dislocated sound, repeated it. We broke down images. My film needed to create a presence. Although incomplete, often ambiguous, the film stays with this rather than etch out and define those who represent the industry.